When it comes to funding a start-up, many knock the doors of banks, and venture capitalist while others look towards angel investors with hope. Getting angel investors on board has its own significance and advantages as compared to venture capitalist and banks. Angel investors have high risk taking capacity and can turn the fortune of your company to a whole 360 degree. But to convince an angel investor is not an easy task. It is thus important to understand what exactly an angel investor wants to see in your business at the time of ‘idea pitching’. Any investor is hopeful to make a good gain in his/her investment. However, not all make profits in their investments. Any investor thus looks out for a viable exit strategy when he/she thinks that things don’t work out as per their goals. While most of the angel investors are patient enough to encourage the company in tough times too but it is natural for any lender to know how you are going to pay back if things do not executes as par plan or the company suffers losses. Giving the rights to sale the shares or gaining money from the mergers are some of the common exit strategy investors look to safe-guard their interest. Now-a-days many successful people want to invest into the areas which they have expertise in or in the areas they find thrilled about. Such investors not only want to share their money for your business but also ready to go an extra mile to make your entrepreneurial journey better and smoother. Investor these days want to have a say in your business for a greater success. They want to actively participate in developing your business by acting as a mentor for your company. By proving them such a liberty can not only make them feel valued but also helps your business with the expertise and knowledge that your angels carry. Always remember that most of the angel investors are successful entrepreneurs who have plenty of surplus money in their bank accounts. They are already wealthy enough and do not need extra money to sustain their lavish lifestyle. They just want to hear an idea and want to invest their money for the idea that gives them a thrill. However, every angel investor has his/her own reasons for investing in any start-up. Experts have categorised such investors into three categories: the economic, the hedonistic and the altruistic. An economic angel investor is more concerned about gaining extra money on his/her investment while a hedonistic angel investor is most attracted with the excitement of creating something new. Contrary, an altruistic angel investor is thrilled by helping the community with the success of start-up in terms of more job creation, allied economic progress and other. Therefore, it is necessary to do some basic research on knowing investor’s thrill factor so that you can give extra stress on it during the investment pitch. Entrepreneurs always want to impress investors with fascinating numbers concerning their future growth. Experts believe 90% of the businesses show dramatic initial growth numbers that most of the times go off-the-charts. Many refer to it as hockey stick and 99% of the time it does not make any impact on investors. Instead, unrealistic projections and unrealistic numbers can turn-off the mood of your angel and made them think again about investing in your idea. Smart investors like realistic numbers and impress by real-projections. Leadership is what ultimately decides the future course of action for any enterprise. Investors are thus very much keen to know more about the people on your company’s board. Angel investors get impressed if they see your business is in the hands of people who are knowledgeable, competent and trustworthy. A solid management team of numerous people who have proficiency in different aspects of business like marketing, sales, manufacturing, managing people and accounts creates a positive impression on investors’ mind. Having such adept professionals on board with rich industry experience develops confidence amongst investors into your company’s future. Angel investors have many other mediums to invest their money like stocks, mutual funds and other financial instruments. However, when someone invests in any start-up, his/her expectation is much more than just getting money back after a stipulated period of time. Angel investors have high risk taking capacity and usually look for a much higher returns on their investment as they can get from the stock market. According to Allan Riding, a leading expert on angel investing- “For every dollar that an angel invests into a company, he or she would like to take seven dollars out, after taxes, in seven year.” Therefore, if your idea does not promise a good returns over a period of significant time then it create problem convincing your angels. Related: Why Angel Investors are good for your Business? 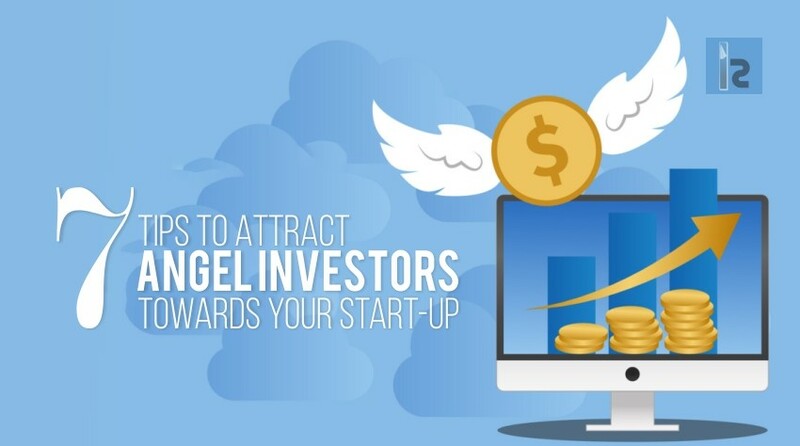 Angel investors get attracted more towards a company that have a solid business plans which can help company to survive even in the tough times. Such investors want to see a developed vision for your company which can help it to flourish all the times. They want to see that you have given though to every detail required to run a smooth business like financial projections, detailed marketing plans, and specifics about market. In totality, if you have an idea that has the potential to revolutionize the industry or has the potential to become an industry standard after some time can make the angel investors to believe in your idea. Therefore, do a thorough check about the feasibility and economic prosperity of your idea before pitching your idea in front of angel investors.